We are drinking cow milk and consuming everything related to dairy. My health practitioner (an obvious orthodox one) has told me that sour creme, yogurt, butter milk, and fermented milk is good for us humans and the regular milk is good for baby cows. I stopped drinking my mom's breast milk a long time ago. And I should not have consumed regular dairy products (unless fermented) ever since. (This opinion has not been reviewed and/or approved by the FDA). Every time I feel like eating cereal (of course home made granola), I make myself almond milk. 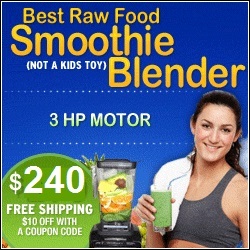 I just put a handful or two of these into the Omni blender, add some water and hit the high-speed blender button. A few seconds later, the Almond milk is ready. Or almost ready... Sometimes I have to add little more water and blend again for a brief moment.